In Summer, sometimes I like to wear outfits that look like what I am going to show here. I like variety and versatility. So I mix and match with different clothing and accessories. Sometimes I like to coordinate and match well. Other times I use totally contrasting colors but still coordinated in a way that the outfit looks great. 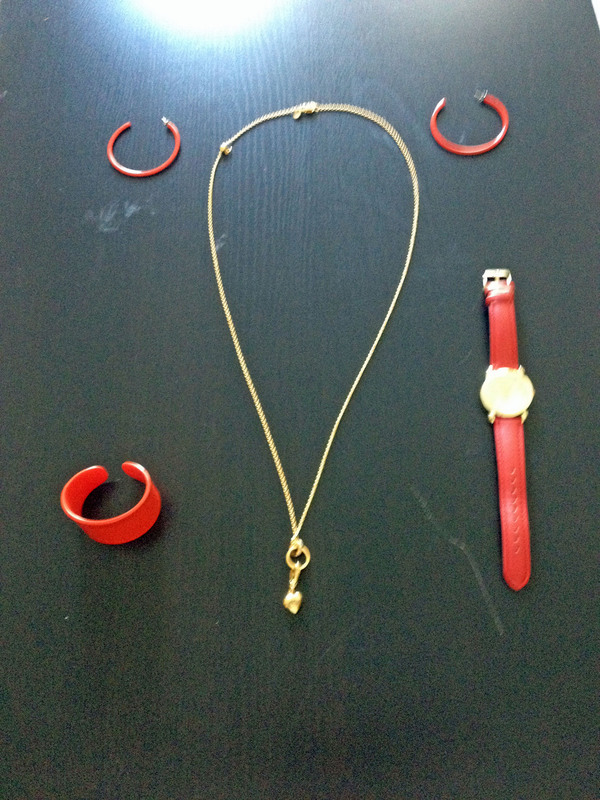 This time I have presented a basic Red and Beige ensemble with matching accessories. I chose simple, practical and all cotton clothing. 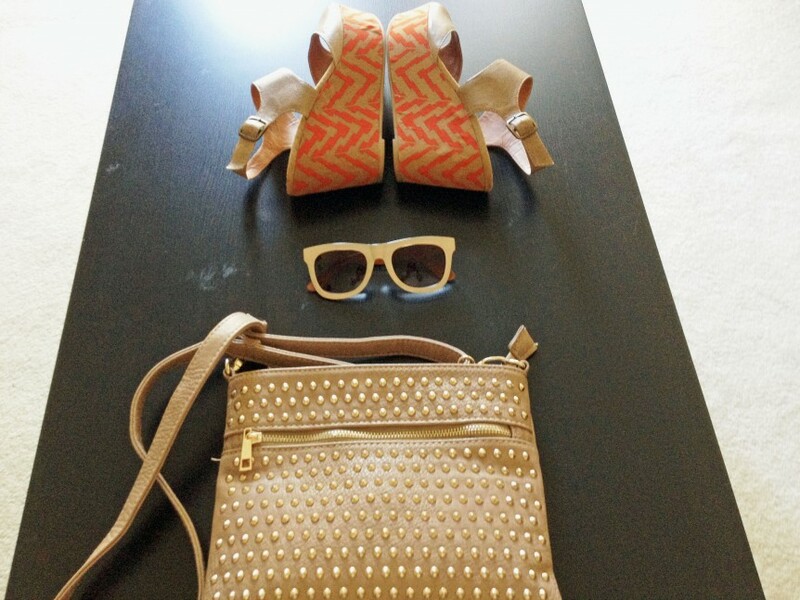 The accessories are light weight and have just enough color and shine to enhance the appearance. Whether you wear this to the beach, or to the movie or a casual party with your friends, this outfit will look great on you! This skirt has a straight, comfortable cut and is just enough short for summer. 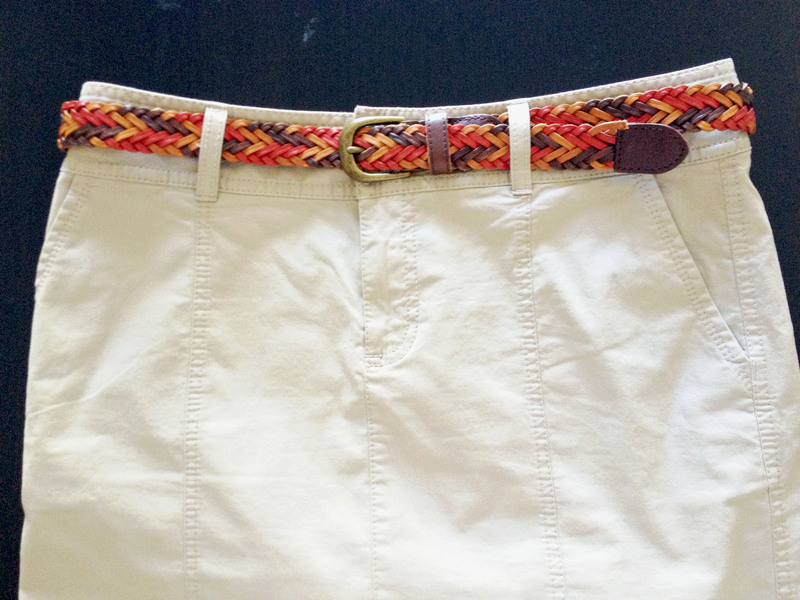 The colorful belt adds brightness to the beige skirt. 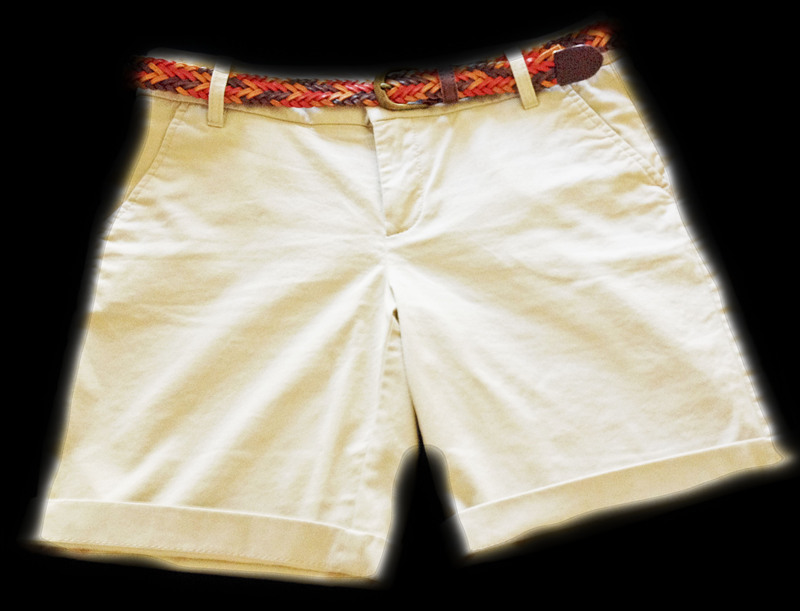 If you prefer shorts, then a pair of shorts like these, also in beige, will be wonderful. Again, you can use the same colorful belt. The red-orange top is so versatile. It is the perfect color with beige. 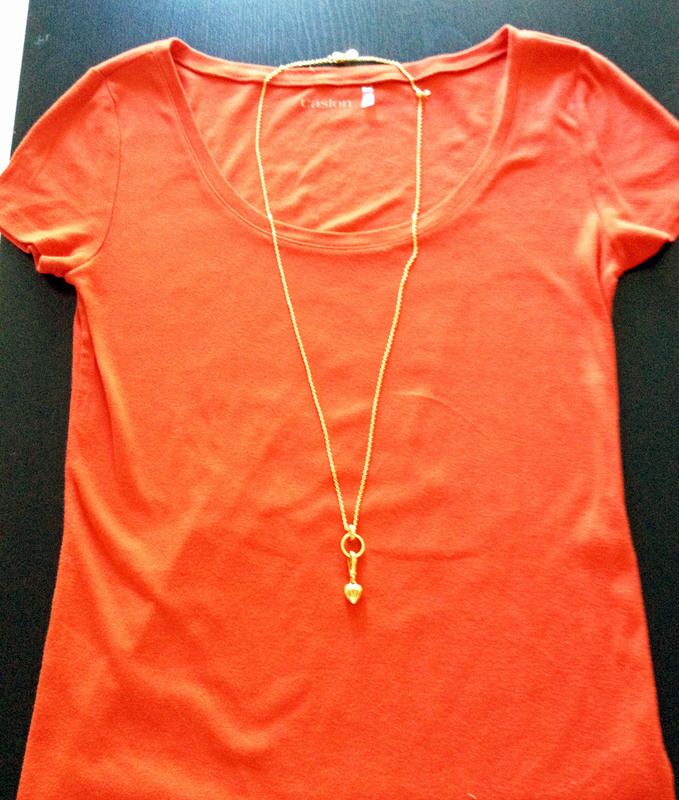 Adding a long, slim gold necklace with a cute pendant reduces the plainness of the outfit and adds a little shine. You can also have the top over the skirt without the belt. 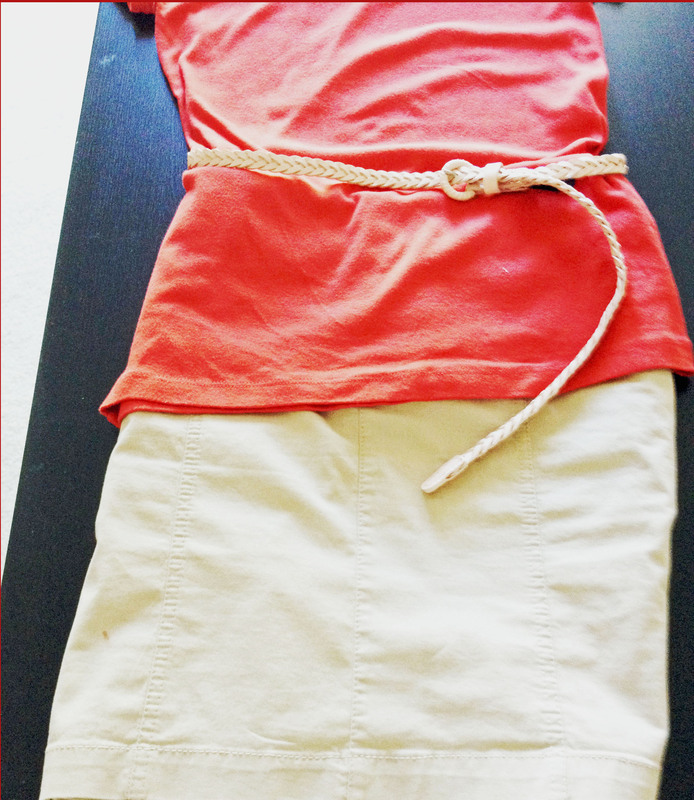 However, if you like, you can embellish the look by wearing a thin, beige belt with the red-orange top. I love these shoes. Even though they look trendy, the beige and the red stripe combination makes it so sophisticated and chic. They are very comfortable. 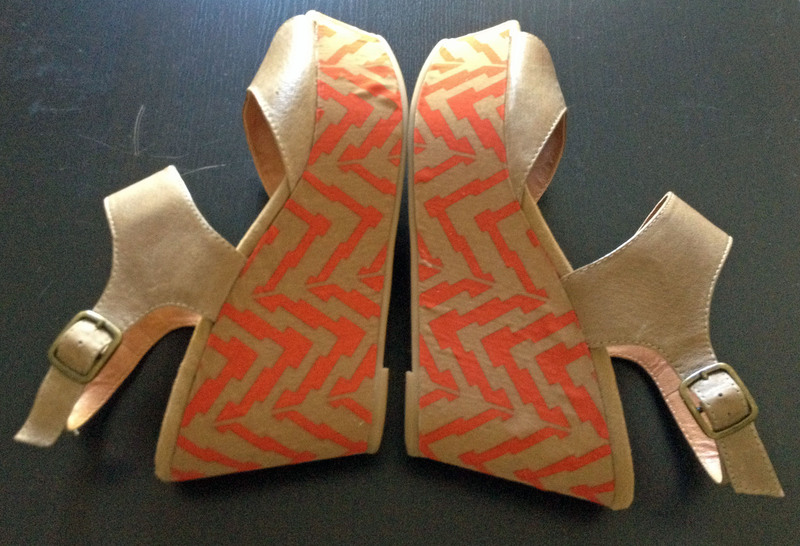 And if you are petite, the heel height adds a little style. High heel shoes can be uncomfortable. But these platform shoes are slightly elevated in the front too. So they are very comfortable. 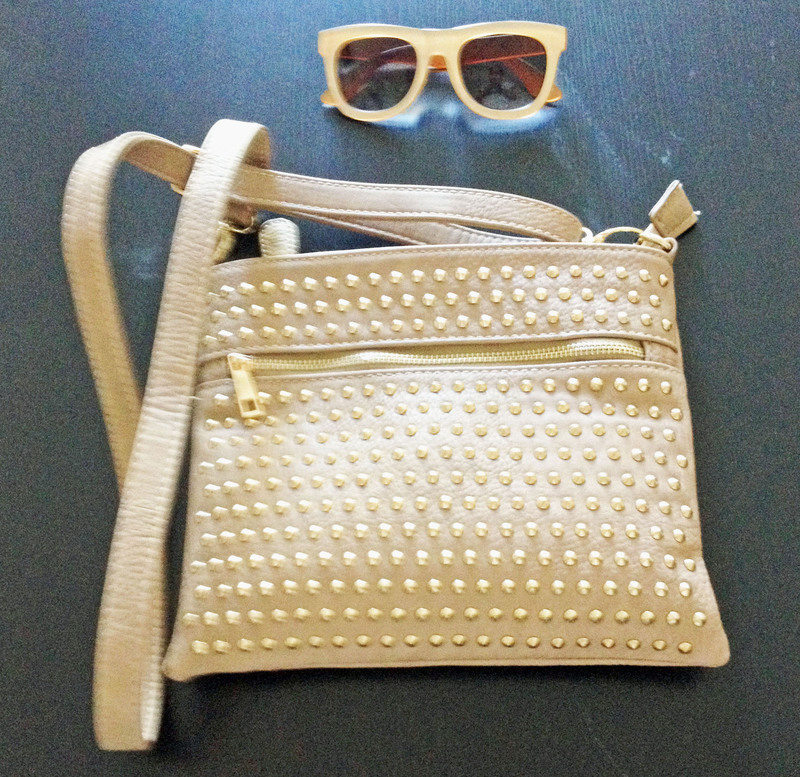 A beige handbag embellished with gold dots looks great with this outfit. Sunglasses with a beige rim are perfect to make you look like a model. Here you can see all the three items shown above together. I love jewelry. When I get dressed, I feel incomplete without some kind of jewelry. In the culture in which I grew up, jewelry was a must. Earrings, a chain or necklace and bangles were always worn. So I am happy to present these to you. Finally a nice, fashionable watch with a red strap is like the icing on a cake! So….what do you think? I hope you like it! If you do, please let me know. Thanks!